Add the sugar and water to a small saucepan and simmer until the sugar dissolves. Stir in bourbon, dried fruit, and toasted hazelnuts. Bring to a light simmer, remove from heat and set aside. Place brie round on a baking dish that can go from oven to table, and also be used for final display (we used an iron skillet.). 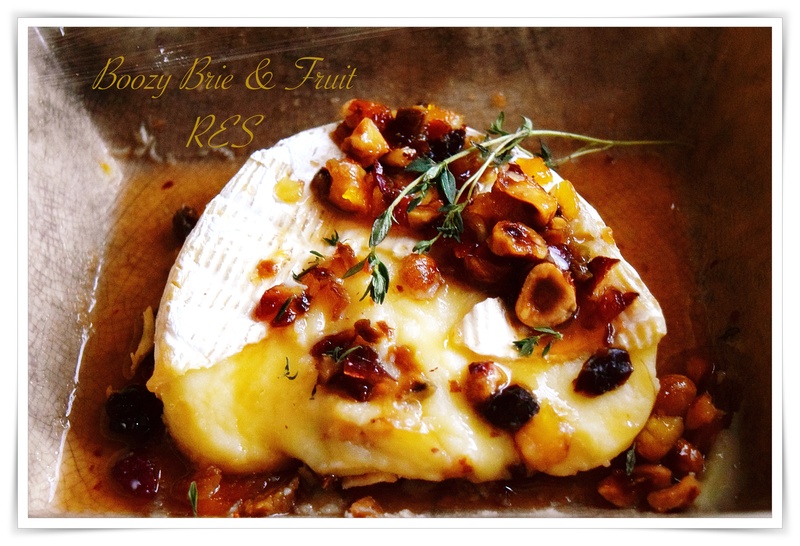 Bake brie at 375º degrees for 8 to 10 minutes, until slightly puffed and warm. Garnish with the fruit syrup mixture and fresh herbs.